When choosing a vacation destination for your family or friends, there are a variety of options you can consider which depends on your particular tastes. Some people prefer a place that is quiet and a little off the beaten path while others are looking to vacation in the heart of action and trendy fashion. Whatever your tastes and interests, the community of Rockford, Illinois has something to offer everyone; the quiet retreater and the adventure seeker both will find that Rockford has exactly what they are looking for. As increasing numbers of visitors are drawn to the charm this busy Midwest metropolis, the following reasons will make you want Rockford to be your next vacation destination. The City of Rockford hails itself as the Forest City. As one of the largest metropolitan areas in the state of Illinois, it is centrally located and easily accessible by major highways and rail systems. It also has one of the fastest growing airports in the country. With a variety of options in terms of dining and lodging, the city has something appealing to every budget and taste. While the City of Rockford boasts tremendous growth both in population and industry over the last several decades, it still offers unspoiled areas of natural beauty that appeal to nature lovers. Rockford offers trails for hiking, biking, and exploring different sites located throughout the Rockford Parks District and the Forest Preserves of Winnebago County. Combine learning with hands on fun for all ages by visiting the Discovery Center Museum, which offers over 300 interactive exhibits that will stimulate your family’s knowledge of science, engineering, and technology. 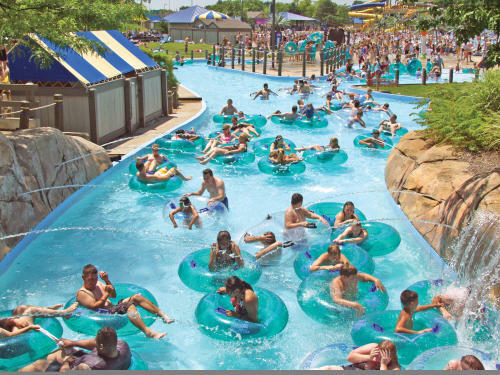 If water parks are what you are after, visit Magic Waters Water Park, which boasts the largest wave pool in Illinois. Rockford has an abundance of botanical gardens to choose from that will appeal to all interests. Experience the peace and serenity of the Anderson Japanese Gardens, which feature a diverse selection of food and live music offerings and comprise one of the most highly rated attractions in the state. 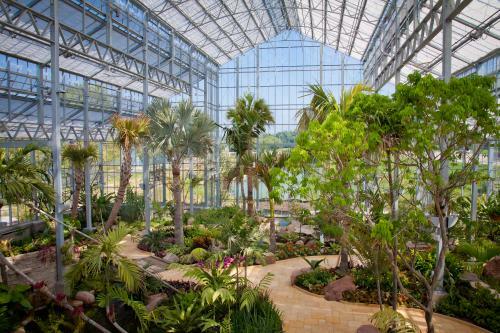 Another tourist favorite is the Nicholas Conservatory & Gardens, an award winning attraction located on the banks of the Rock River that will make you think you are in the tropics with its lagoon, water fountains, sculptures, and lush greenery. Take a walk back into Rockford’s past at the Midway Village Museum, with historical attractions and re-enactments depicting life in our area during the 1900s. Looking to go further back in history? Check out the Burpee Museum of Natural History to get an up close and personal look at prehistoric artifacts, including the world’s most well-preserved and complete juvenile Tyrannosaurus Rex. No visit to Rockford would be complete without spending time exploring our vibrant arts culture. 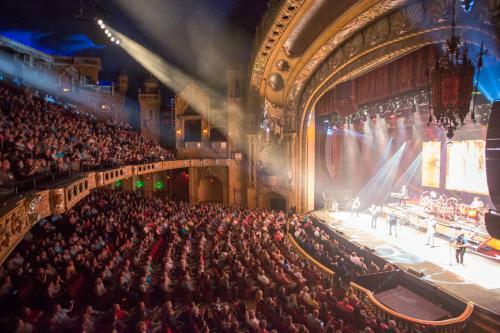 Take in a show or concert at the Coronado Performing Arts Center, or cheer on our local hockey team, the Rockford Icehogs, at the BMO Harris Bank Center. Looking for something a little quieter? Visit the Rockford Art Museum and view exhibits from both local and national artists.